In the 1500’s, in the Sufi Muslim monasteries of Yemen, coffee was first roasted. In the 16th century, coffee reached the Middle East, Persia and Africa. Coffee reached the shores of North America during the Colonial period, however, it was not as popular as it was in England, as people in the colonies preferred alcoholic beverages over fresh roasted coffee. America’s taste for coffee grew after the Embargo Act of 1807 restricted trade with both Britain and France, leading to the War of 1812. Today, coffee is a vital and important cash crop for developing countries. It has become the backbone and primary export for the African countries of Rwanda, Uganda, and Ethiopia. Today’s leaders in the production of green (unroasted) coffee are Brazil, Vietnam, Indonesia, and Columbia. There are two main types of coffee grown, Arabic and Robusta. Arabica coffee is generally preferred over Robusta, as Robusta tends to be bitter with less flavor but has better body than Arabica. Robusta contains almost 50-percent more caffeine as well. In the United States, coffee is grown in Puerto Rico and Hawaii. In fact, back in the day (100 years ago), Puerto Rico produced some the world’s best coffee. The production of whole bean coffee decreased and the export of coffee ceased due, in part, to the damage caused by hurricanes in the 1800’s. When the United States gained control of the island in the late 19th century economic development became more of a focus. Affluence led to agricultural work being stigmatized and coffee’s decline continued. The nutrient rich volcanic soil and climate of Puerto Rico make it the perfect place for coffee to grown. Yauco or The City of Coffee, as it is nicknamed, is famous for its coffee. The most recognized, premium blend of coffee Puerto Rico has to offer is known as the Yauco Select brand. Another brand, a very special blend, is called Alto Grande. It is special because it is one of only three brands that are labeled superpremium in the world! Puerto Rico produced 10-million pounds of coffee in 2014 but compared to Brazil’s 1.8-million tons, that’s a drop in the ocean. However, the island is taking measures to change that. Of late, Puerto Rico has seen a resurgence of cooperative’s and small producers growing premium coffee beans. Puerto Rico has many obstacles to overcome, including a shortage of workers to pick the coffee. There is no substitute for human workers, and as people become more educated, manual agricultural work is a last choice option. Insect pests such as the coffee leafminer can reduce crop yields by up to 40% and pests such as mealybugs and scale can cause yield losses of up to 15%. In an effort to help Puerto Rico regain its status in the coffee world, some small production farmers have concentrated their efforts on specialty and high-quality coffees. 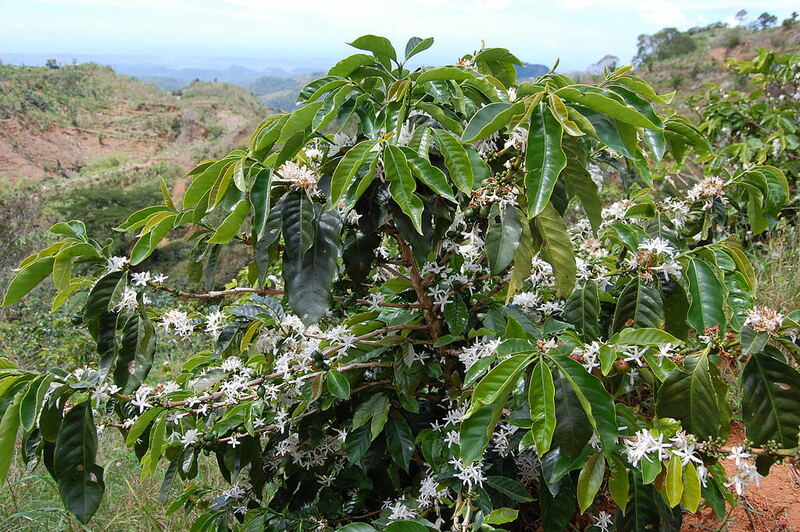 Yet others are focusing on cultivating coffee beans in the coastal areas of the island. The hope is that planting in areas with high unemployment rates they will draw workers to the fields. In another effort to increase yield, Puerto Rico’s Agricultural Secretary signed an agreement to plant more than 16-million coffee trees over the next few years. Other improvements include the recent opening of the largest coffee processing facility in the Caribbean. Another significant development is the University of Puerto Rico’s new program dedicated to helping farmers improve the quality of their coffee beans. Maybe some day in the near future we will talk about Puerto Rican coffees in the same breath as Kona coffees as some of the best in the world, again.